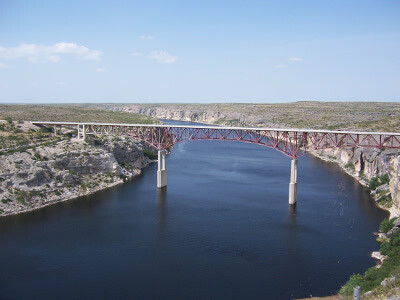 Completed in April 1957, the Pecos River Highway Bridge spans the Pecos River Canyon at the junction of U.S. Highway 90 and the Pecos River. 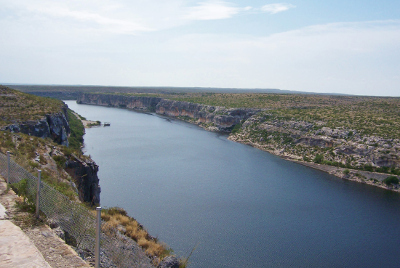 The height above the river varies with the level of the Amistad Reservoir but the bridge is approximately 273 feet above the water level. 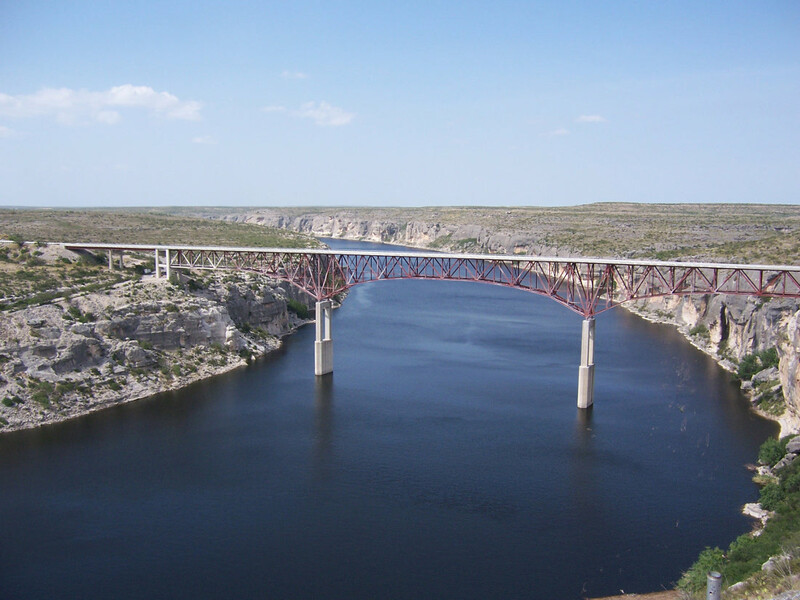 The highest highway bridge in Texas, it is actually the fourth bridge built by the Texas Highway Department to cross the lower Pecos River Canyon. Earlier bridges were washed away in the floods of 1923, 1954 and 1955. Consisting of two central piers with one 1040 deck truss unit, one concrete slab span and one 240-foot continuous plate girder span, the present bridge is 1,310 feet long and carries approximately 1000 vehicles per day. For the traveler looking for a spot to stop and relax, a peaceful picnic area overlooks the canyon on the east side of the river, offering excellent views of the bridge and the mouth of the Pecos where it feeds into the Rio Grande River. 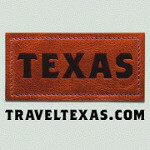 Law West of the Pecos Loop Itinerary.